It’s one of the most popular musical instruments on earth and many of you probably know a thing or two about playing it but the piano or pianoforte (its original name which means quiet-loud) hasn’t always been the way it is today. The invention of the instrument started all the way back in 1504 when the clavichord was invented. Most people only used one at home to write music or practice as it was far too quiet for any performances on stage. You would press a key and it would hit the string but even though it was similar to the hammer of the modern day piano, there were lots of problems. If you pressed too hard, the pitch of the note would change and some clavichords would have two notes you wouldn’t be able to play at the same time. e harpsichord. This instrument was loud and you were able to play every note at the same time. Again, however, there was a massive problem. 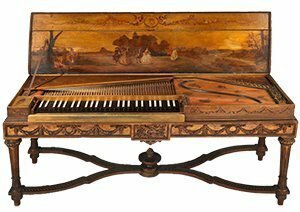 No matter how hard or soft you pressed each key, the harpsichord would play that note at the exact same volume every time. This is because it worked by plucking a string instead of hitting it with a small hammer. The two rows of keyboard in the one below were designed to fix this – one of them played loudly and the other softly. As classical music developed, composers and musicians required an instrument that could more expressive and versatile. Concert halls were getting bigger and a new sound had to fill them: one that could control volume properly. 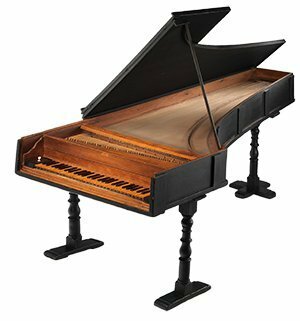 In 1700, Bartolomeo Cristofori invented the Fortepiano: the closest thing the modern piano at the time. It could control volume but was still a smaller instrument. Over the years, until today, the piano was developed and redeveloped into the powerhouse it is today. 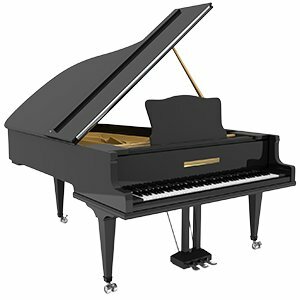 Now, the piano, is called the ‘King of Instruments’ with a pitch range the size of an orchestra and many features that create wonderful music. Brands like Yamaha have brought the instrument into many homes across the world as the perfect base for students seeking to understand music.